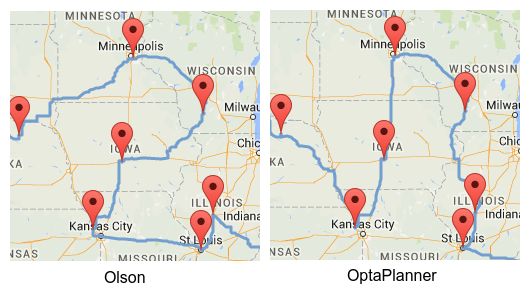 Earlier this week, The Washington Post published an article about how a data genius has computed the ultimate American road trip. The only problem…​ it contains several mistakes! It’s not the optimal route, nor the shortest route, nor the fastest route. Let’s take a look at the problems and how we can fix each of them. The Ultimate American Road Trip stops at 50 national natural landmarks, national historic sites and national monuments in the US. The goal is to find the fastest trip to visit all of these locations. 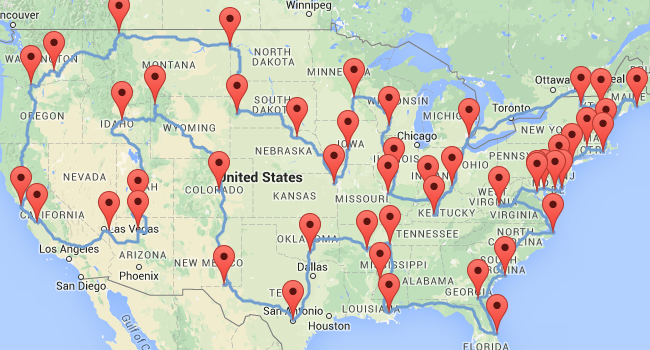 This is known as a Traveling Salesman Problem. Note that I had to recreate the datasets. I’ve used exact latitude longitude coordinates (instead of location names) to avoid ambiguity and get more accurate routes. This reduces the total time by 1h 35m 40s and the total distance by 34km 515m. 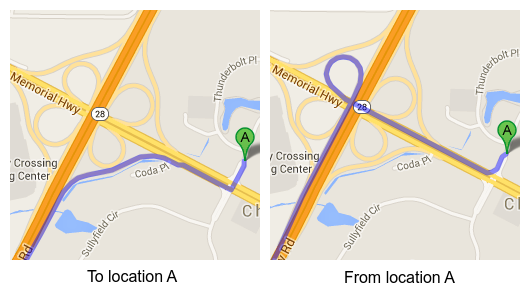 On the left is the path found by both Olson and Cook (and by myself when using Olson’s symmetrical distances). On the right is my path, which reduces the total time by another 49m 36s (if both paths are computed using asymmetric distances), but increases the distance by 805m. Do we want the shortest or the fastest trip? 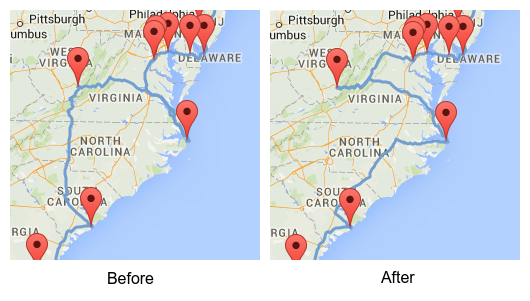 We used Google Maps to calculate the fastest route between every pair of locations. So if we’re aiming for the fastest trip, that’s fine. 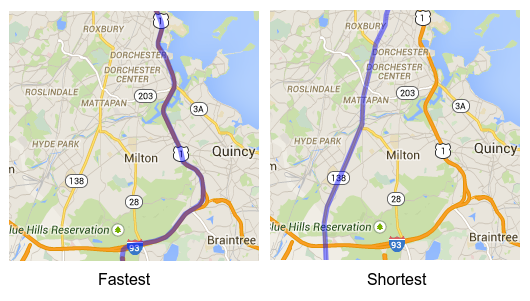 Contrary to popular belief, the shortest trip on the fastest routes is not the shortest trip. Here’s my elaborate proof of that. Not all routes are equally beautiful or equally safe. Consider optional places to visit, as long as they don’t impact the length of our trip too much. Consider time constraints: to see that sunset at the ocean, we’ll need to arrive there before the evening. That’s when a customizable solver such as OptaPlanner becomes really useful. Drive it clockwise to optimize time!